Public Speaking Phobia - Why Are You So Afraid of Speaking in Public? 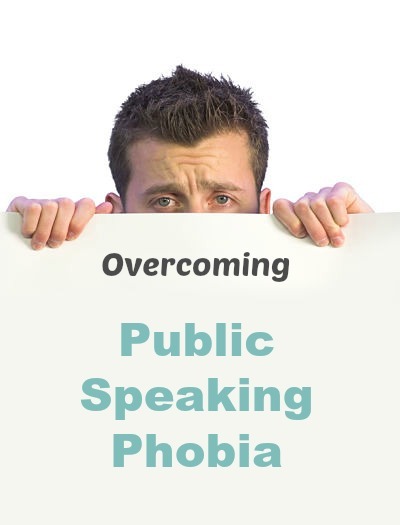 Public speaking phobia - or glossophobia as it is technically known - is no joke. For many people, there's nothing more frightening or nerve-wracking than having to speak in public. They would rather bury themselves alive than be asked to give a speech. According to the Merriam-Webster online dictionary, a phobia is an exaggerated, usually inexplicable and illogical fear of a particular object, class of objects or events. Therefore a public speaking phobia is the fear of speaking before an audience, also known as stage fright. One way of overcoming stage fright is to understand the origins of the fear. Let's look at some of the common underlying causes. We seek people, places and situations that give us a sense of wellbeing and protection. Standing before an audience often arouses a sense of anxiety and insecurity. In other words, an illogical fear is generated. Our primeval instincts for dealing with fearful situations are two: fight or flight. You can either stay to defend yourself or run fast and far. Both situations induce certain effects in your body - adrenaline rush, quickened heartbeat, sweating, shallow breathing, stiff muscles and flushed skin, which prepare you to fight... or run a mile. It could have happened to you, or you could have observed it happening to somebody else. That bad memory is so ingrained in your mind that it distorts your perception of public speaking to a thing of dread and fear. You fear making a fool of yourself, of being judged harshly, of being humiliated, of failing at your speech objectives, and so on. All of these eat away at your confidence level which is a crucial component for good public speaking. Perhaps you've watched superb speakers and feel that you should be able to communicate exactly to that style and standard. Public speaking is not about imitating another person, but about nurturing your own particular brand of speaking skills. You can learn from the top speakers, but don't try to BE like them. Be yourself. This irrational fear stems from assuming you'll be harshly judged. In most cases, the audience wants you to speak well because they too will enjoy listening to you. An exception would be when discussing an unfavourable topic or facing an overtly hostile group. But even in such circumstances there are skills you can learn for speaking under unwelcoming conditions. You may be nervous because you know you are unprepared for the 'limelight'. You may not yet have learned how to control your nerves and build up your confidence. Or you have not yet developed techniques that enhance your speaking abilities. 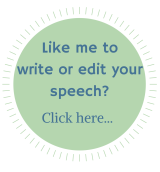 Subscribe to this website and receive free tips and advice for speaking in public and doing it WELL. Enrol in a public speaking course at a local college. Join a public speaking club - see if there is a Toastmasters group near you. Gaining the confidence needed to deliver a speech will require time and effort on your part. But like all things you value, you must be willing to work towards speaking success. A public speaking phobia is not a terminal illness from which you cannot recover, even though you may feel it is! It's just a temporary, illogical state of mind that can easily be fixed, allowing you to enjoy speaking to an audience and giving you a confidence that will open new doors.